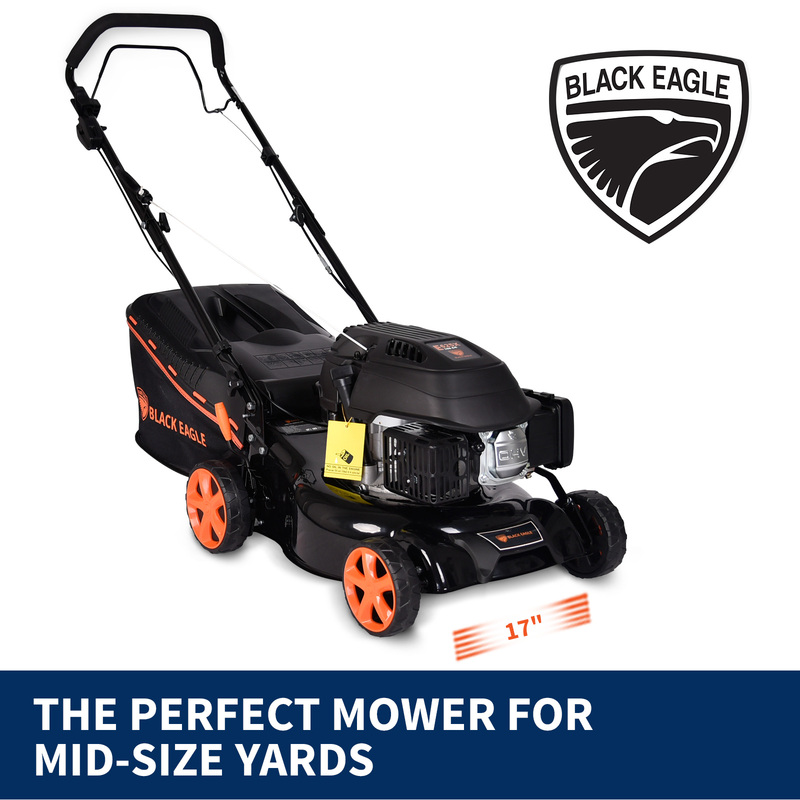 This powerful 160cc 4-stroke self-propelled mower from Black Eagle will transform your lawn and make it look smooth and fitting for a country estate. 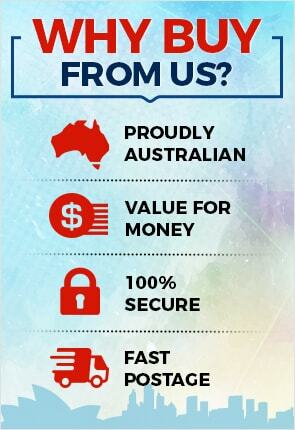 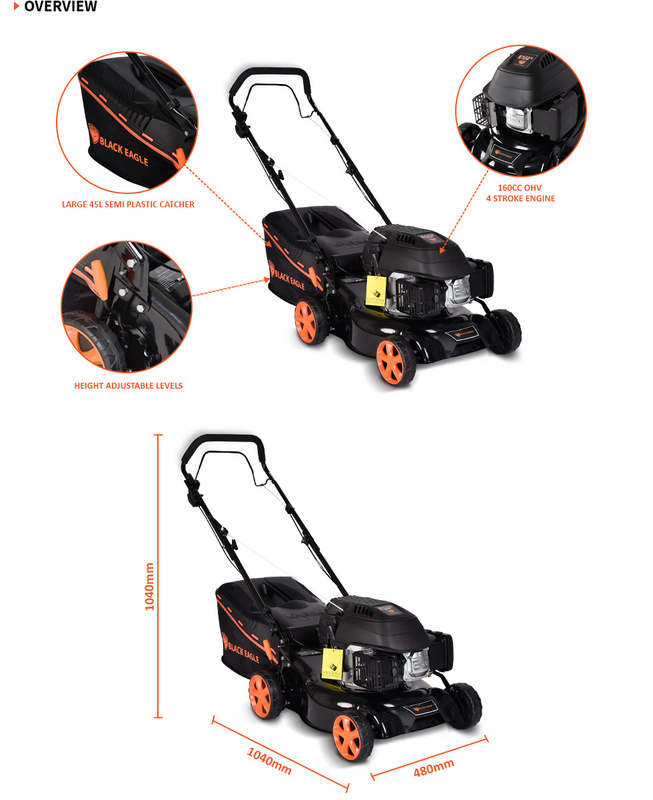 It has an array of world-class quality, durability and comfort features that will help you mow your lawn with ease and pleasure. 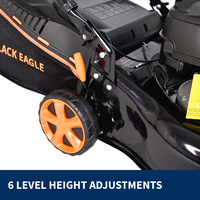 The 17” deck is durable, but lightweight and, in combination with the 420mm cutting width, allows for easy maneuverability and ease of handling. 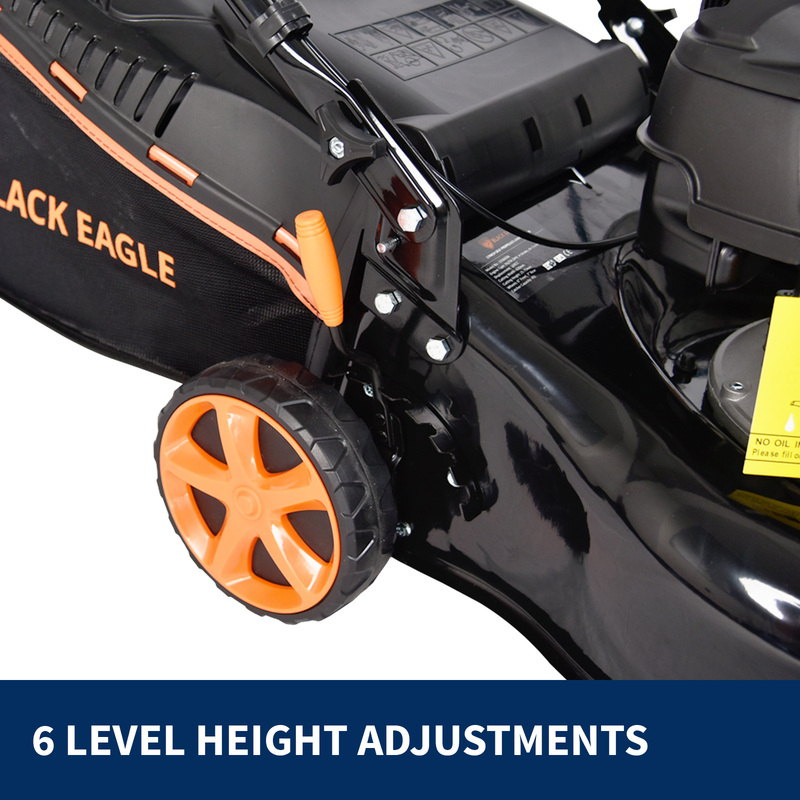 This lawn mower has a 6-level adjustable cutting height of 25 - 75mm and has twin blades to get the job done without any effort on your part. 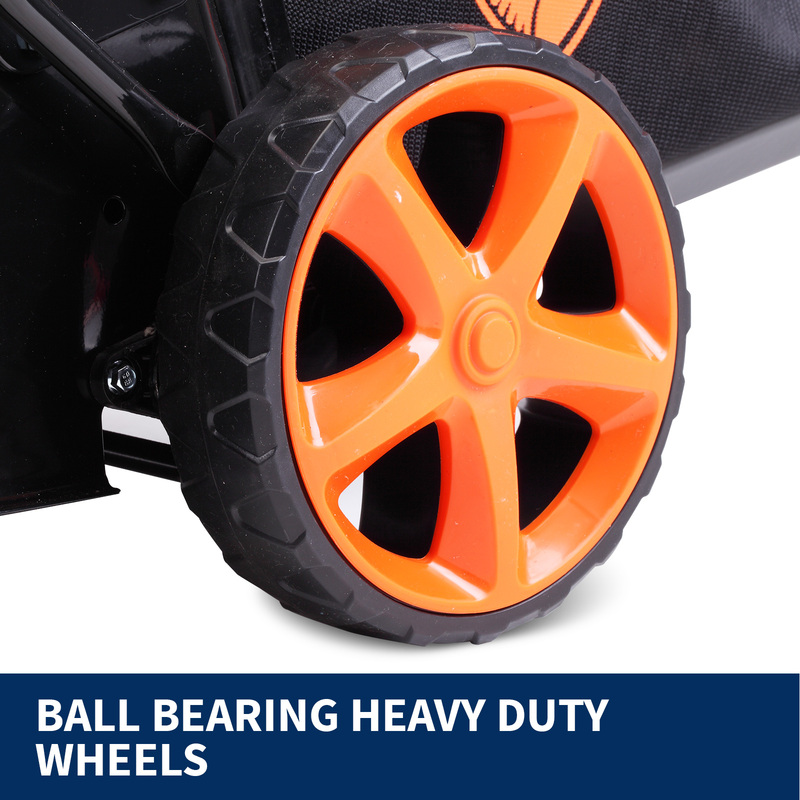 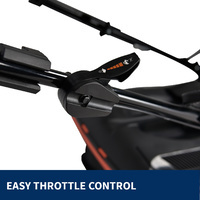 Features to increase comfort and smooth handling include durable 7” rear and 6” front wheels, a soft grip handle as well as an easy recoil starting system. 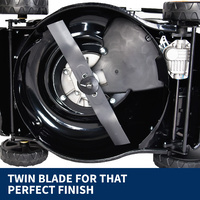 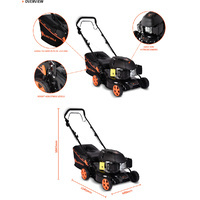 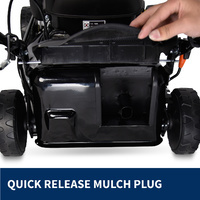 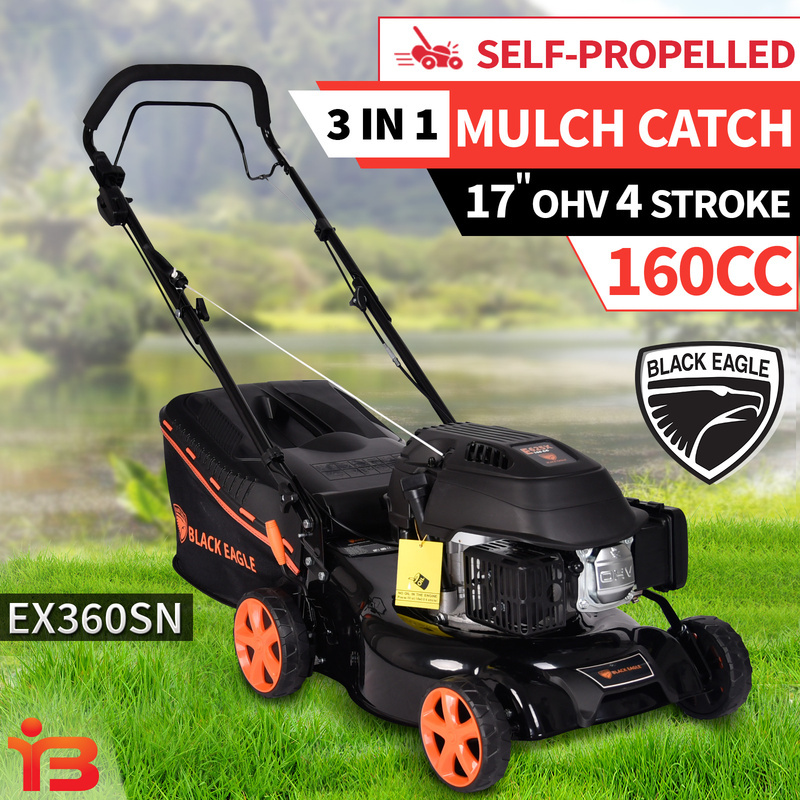 To add to the effortless lawn maintenance that this lawn mower has to offer, it is equipped with 3-in-1 collecting, mulching and rear discharge function. It also has a generous 1 litre fuel tank to reduce fill-up times. 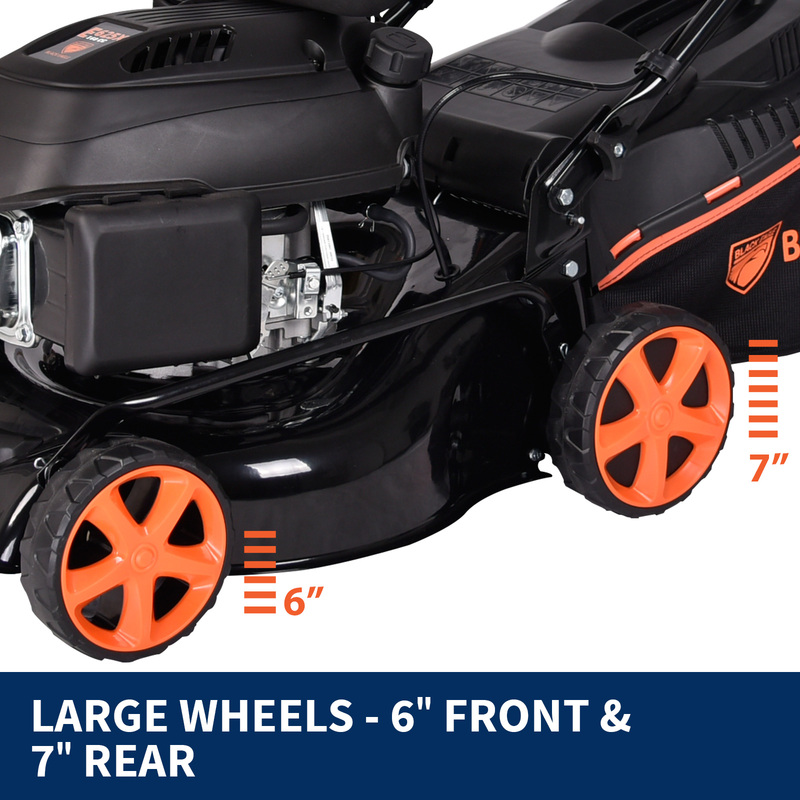 With this GE, GS and EMC certified, self-propelled mower, you’ll start seeing your saturday mornings as leisure time and not chore time. 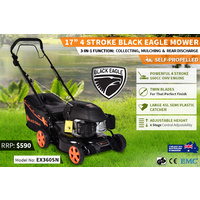 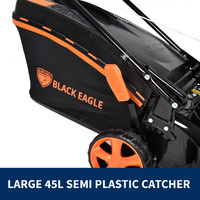 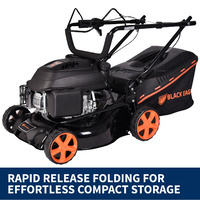 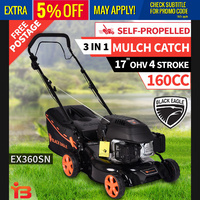 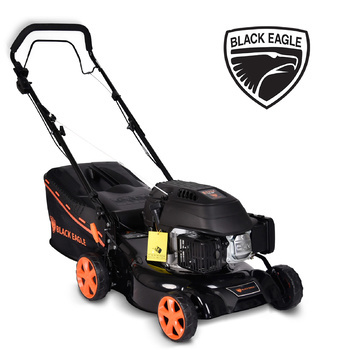 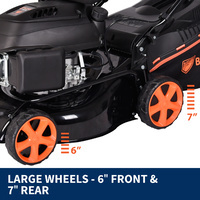 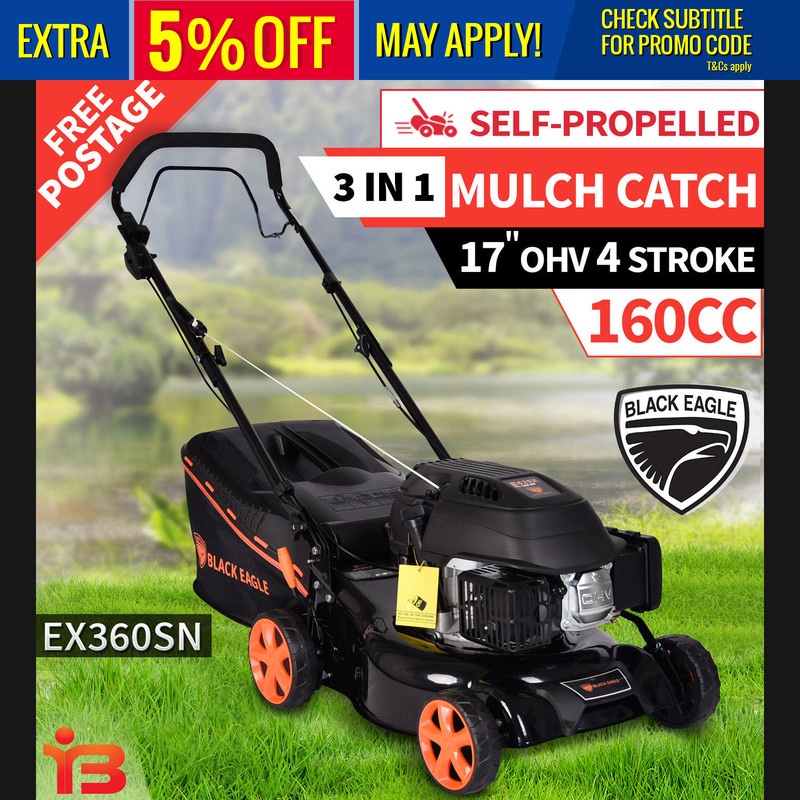 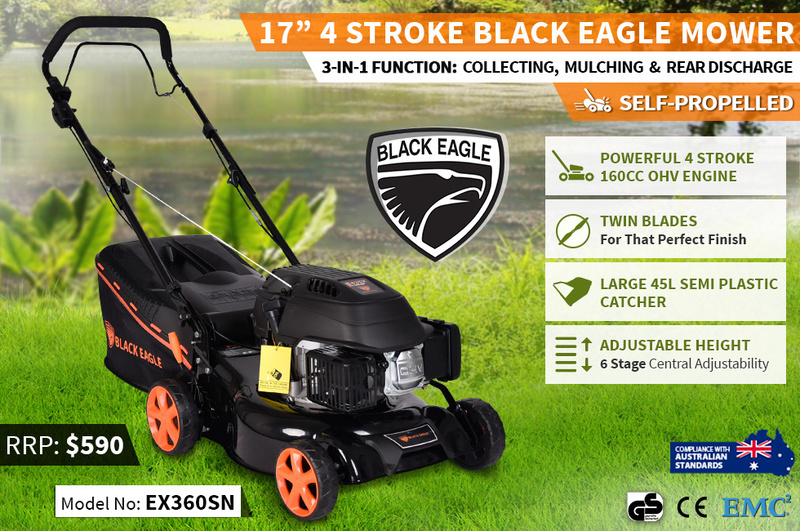 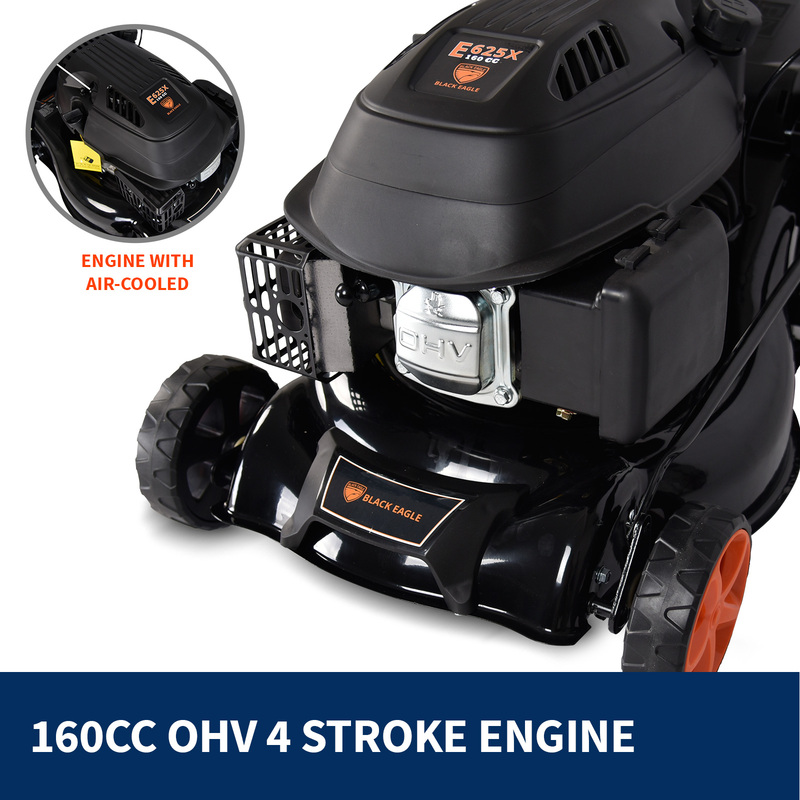 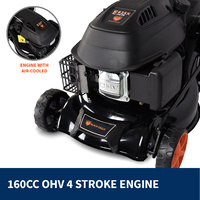 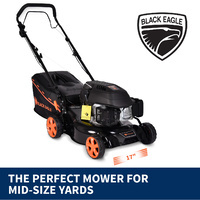 Buy your 4-stroke self-propelled mower from Black Eagle today and receive an additional mesh and plastic hard-top grass catcher as well as a one year warranty.